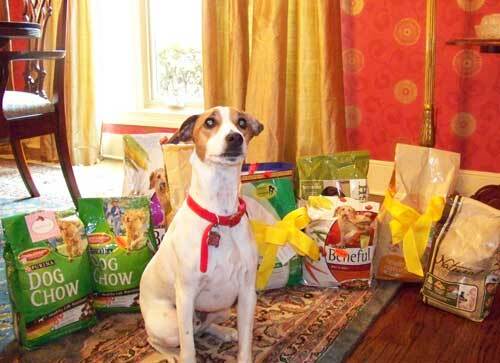 Sunny showing off with all the dog food Annalise donated to Guardian Angel Pet Rescue. Annalise and her parents adopted Sunny in 2008. Sunny is flourishing with his forever family! And Annalise is so generous to rescue pets. Annalise collected dog food for us on her eighth birthday instead of asking for gifts for herself. This was the second time Annalise has collected gifts for our rescue pets on her birthday. Thank you for being so kind and generous, Annalise!